The BBC has confirmed children's show Blue Peter broke guidelines in a vote to name its cat, as it revealed three other breaches of editorial rules. The cat was called Socks after staff changed the results of an online poll. Viewers wanted the cat named Cookie. BBC 6 Music's head of programmes Ric Blaxill has resigned after two further instances of fictional competition winners on his station were revealed. Another rule breach concerned a film show on the Asian Network. The BBC said a number of disciplinary proceedings had been undertaken. 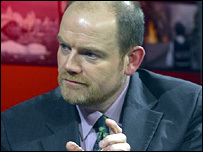 No further details were given for Mr Blaxill's departure from 6 Music, where fictional winners were announced on shows presented by Clare McDonnell and Tom Robinson in September 2006. The BBC said neither DJ had been aware of the deception. The BBC's latest admissions came on 20 September, two days after it emerged that a producer at 6 Music had been sacked after staff on the Liz Kershaw show posed as competition winners on "live" shows which had actually been pre-recorded. Media union Bectu said she would be appealing against the decision. The BBC also said an audience vote for award winners on the Asian Network's Film Cafe in February 2007 had been overruled by a member of the production team, once as a result of an error in reading results, and another time because a genuine winner was unavailable for interview. An apology will be broadcast to Blue Peter viewers when the show's new series begins on Tuesday. 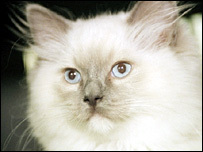 Socks will be joined on the programme by a new kitten, Cookie, to reflect the results of the original audience vote in January 2006. Director general Mark Thompson said: "I would like to repeat my apology to viewers and listeners who were misled by these editorial lapses. "Although these lapses amount to tens of hours across one million hours of broadcasting, the BBC's standards must be as high in small-scale competitions as they are in the most major news story." A review of contracts had begun to ensure staff understood their responsibility for upholding editorial standards. "A phased and controlled return" of competitions to the corporation's output is expected to begin in November. Former BBC executive Will Wyatt's independent inquiry into the controversy surrounding a forthcoming documentary about the Queen will report in October, with the details to be made public. All 16,500 BBC production staff will undergo what the corporation called an "unprecedented programme of editorial training" called Safeguarding Trust. The training materials will be made available to other broadcasters and producers. A major new online project to help the public understand how media content is produced has been commissioned by Mr Thompson. "The BBC believes this will be a major contribution to media literacy in Britain," it said. Mr Thompson presented these proposals to the corporation's governing body, the BBC Trust, on Wednesday. 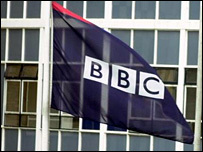 In a statement, the Trust said the breaches suggested that, in certain parts of the organisation, a culture had developed where knowledge of and adherence to the BBC's editorial guidelines was inadequate. "The Trust is clear that these cases arose not because of an individual's desire for personal gain, but because of some programme-makers' misguided belief that those decisions... were more important than honesty and fairness to the audience," it said. "Had the BBC editorial guidelines already been complied with, none of these breaches would have occurred."